You may think every drop of rain falling from the sky, or each glass of water you drink, is brand new, but it has always been here, and is a part of the water cycle. At its most basic, the water cycle is how water continuously moves from the ground to the atmosphere and back again. As it moves through this cycle, it changes forms. Water is the only substance that naturally exists in three states on Earth – solid, liquid, and gas. Over 96% of total global water is in the ocean, so let’s start there. Energy from the sun causes water on the surface to evaporate into water vapor – a gas. This invisible vapor rises into the atmosphere, where the air is colder, and condenses into clouds. Air currents move these clouds all around the earth. Water drops form in clouds, and the drops then return to the ocean or land as precipitation - let’s say this time, it’s snow. The snow will fall to the ground, and eventually melts back into a liquid and runs off into a lake or river, which flows back into the ocean, where it starts the process again. That’s just one path water can take through the water cycle. Instead of snow melting and running off into a river, it can become part of a glacier and stay there for a long, long time. Or rain can seep into the ground and become groundwater, where it’s taken up by plants. It can then transpirate to gas directly through the leaves and return to the atmosphere. Or, instead of being taken up by the plant, the groundwater can work its way up to a lake, river, spring, or even the ocean. As you can see, the water cycle can be a very complicated process. And all its paths through Earth’s ecosystems are complex and not completely understood. Water is essential to life on Earth, and fresh water is a limited resource for a growing world population. Changes in the water cycle can impact everyone through the economy, energy production and use, health, recreation, transportation, agriculture, and drinking water. And that’s why understanding of the water cycle has become one of NOAA’s Grand Science Challenges. NOAA studies all aspects of the water cycle – ocean, weather, precipitation, climate, ecosystems – and our impacts on it. 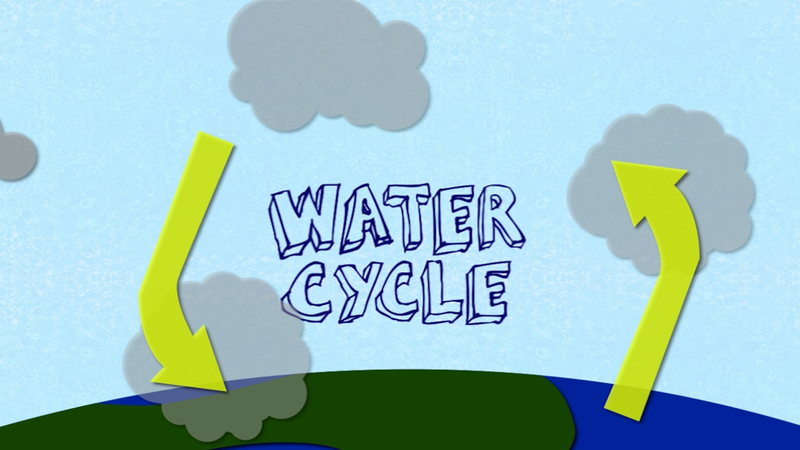 The water cycle involves the continuous circulation of water in the Earth-Atmosphere system. Water is the most abundant and important substance on Earth. It is essential to life and is a major component of all living things.